Even though European and American series are very popular in Asia, Japanese TV dramas are still the best choice for many people. For girls like us that love pretty Asian girls showing their most gentle emotions or involved in GL plots, these series are a must-watch. Here are the 6 GL-themed Japanese series for you. 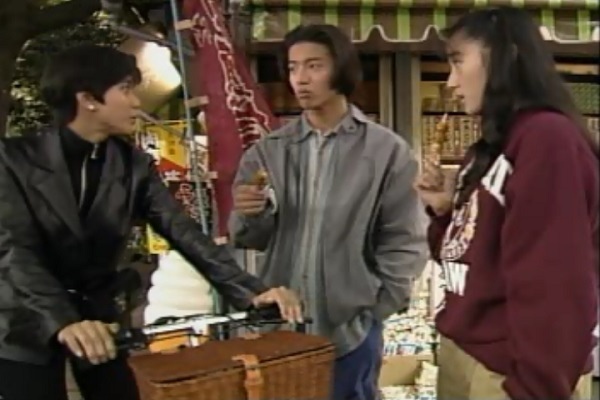 The series, released in 1992, features Takuya Kimura, Yuki Uchida, and Sae Isshiki in the leading roles. The film was considered very bold and progressive more than 20 years ago. It explores the sexual orientation of a set of high school students and how to treat homosexual issues in Japanese conservative culture. Even though there are only 5 episodes, the plot develops in quite a fast pace. Kissing in the first episode, taking someone home in the second, it is hard to imagine the two are playing high school students. Yuki Uchida’s charming character makes Sae Isshiki hard to resist. Looking at this from the present, At that moment, my heart was stolen is indeed a series ahead of its time. Sae Isshiki says at one moment "why not? What’s wrong about liking girls? I like her, there’s no need for any approvals." Such open-minded character makes At that moment, my heart was stolen a GL classic. Hospital series Code Blue is about a helicopter-rescue team and a new group of ambitious interns. 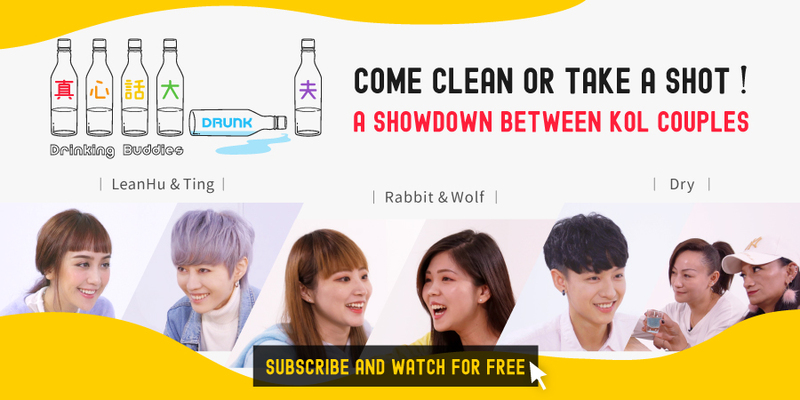 The series stars Yui Aragaki, Tomohisa Yamashita, and Erika Toda. 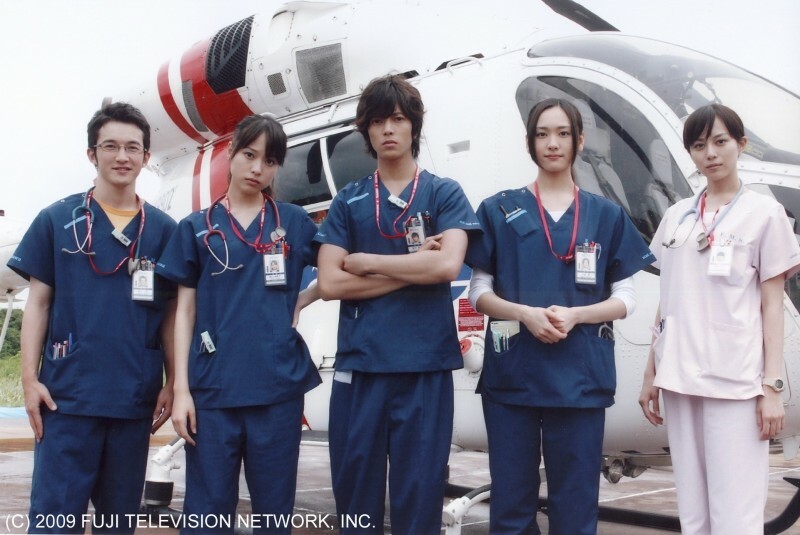 Seven years later, the third season of Code Blue showed how the interns have grown up and become professionals. But regardless of the main plot, GL fans thought the most eye-catching part was the bizarre relationship between Yui Aragaki and Erika Toda. Yui Aragaki plays the clumsy and smart role model Megumi Shiraishi. Her cute image makes people call her kangaroo. Erika Toda plays the complete opposite, a stubborn girl, a bit arrogant. Even if she cares about others, it is not easy for her to show it. Watanabe Mayu from AKB48 in her first wearing a costume as a maid named Shima. However, she is special, she coldly observes how the rest of girls fight for attention while she stays away. This catches the attention of Midori Aiba’s (Erika Sawajiri) and they start a secret affair. Watanabe Mayu plays for the first time in Ōoku, she was not sure if she could pull it off. 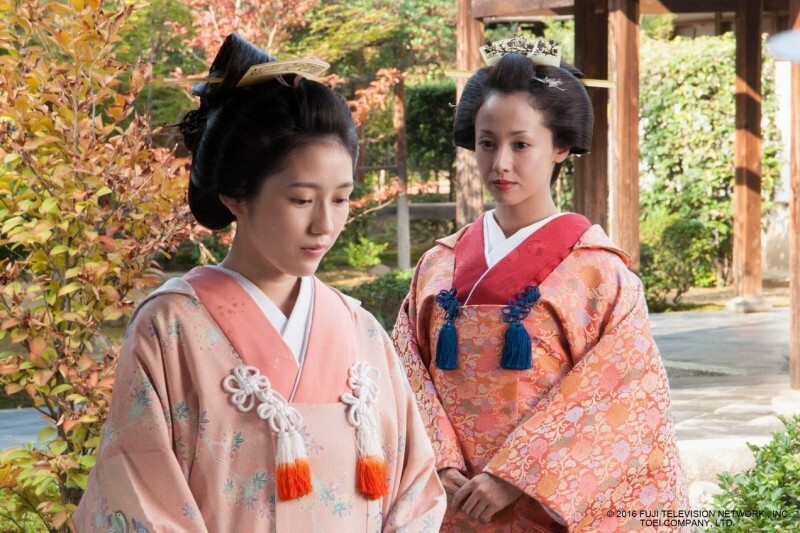 But, Erika took the lead and that is why the film plot revolves around Erika Sawajiri trying to seduce Watanabe Mayu. The two bathing together and many kissing scenes are setting the GL fans souls on fire! Fake Marriage talks about various marriage issues, and coming out of the closet. But what grabned GL fans’ attention was one of the secondary characters: single mother Kaori (Yuki Uchida) was abused by her husband for many years. This tragic incident made her realized that she is a lesbian. Although she is already a mother, she still has the courage to confess her love to Kamon (Yūki Amami). The exciting part was when Kaori took her son and went to declare her love to Kamon. She is attracted by Kamon’s calmness and clear mind. She hopes she can be her son’s other “mother”. This is basically a pioneering for diverse families representation in Japanese media. Last Friends tells the story of a group of people living together, a modern story about the troubles of the young generation. This group of friends have their own unique backgrounds and personalities. The only way they find to overcome their obstacles in life is through their connections to each other. Ayoda (Masami Nagasawa) works in a barbershop. Besides being bullied at work, her boyfriend is also abusive towards her. Her high school friend Kishimoto (Juri Ueno) is a motocross rider who keeps her sexuality as a secret. This classic kiss scene is memorable. The audiences felt so attracted by the handsome Ueno. 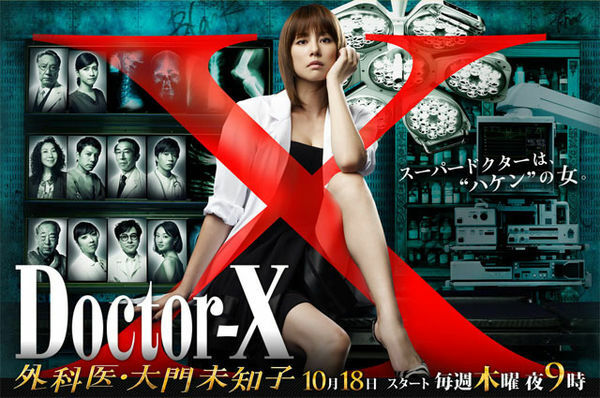 The medical drama Doctor-X tells the story of Daimon Miriko (Ryoko Yonekura), a doctor who assigned to a large hospital and, later, recruited as a resident doctor because of her excellent performance. It also talks about the dark sides of the medical industry. 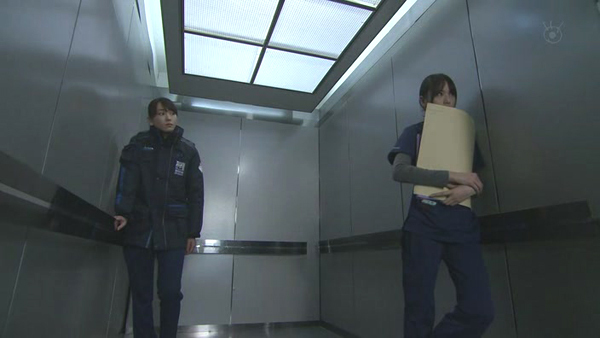 Daimon Miriko meets the anesthesiologist Miyuki Shiro (Yuki Uchida) at the hospital. Their relationship dynamics, looking after each other, makes them a popular GL couple. The interactions between them are full of sparks: Daimon tends to close herself up but, whenever she is talking about Miyuki, her face illuminates and her expression shows true love. That is probably why they have become so popular. Home / Culture / 6 classic GL Japanese series, girl-girl moments that changed Japanese TV!